Morady Moghaddam, M., Murray, N. (2019). English Language Teaching in Iran: A Case of Shifting Sands, Ambiguity, and Incoherent Policy and Practice. International Journal of Society, Culture & Language, 7(1), 96-105. Mostafa Morady Moghaddam; Neil Murray. "English Language Teaching in Iran: A Case of Shifting Sands, Ambiguity, and Incoherent Policy and Practice". 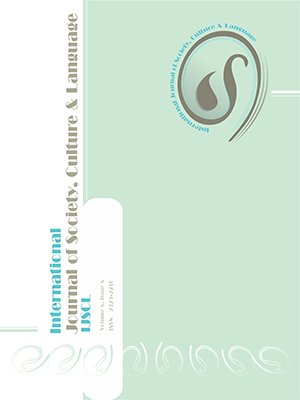 International Journal of Society, Culture & Language, 7, 1, 2019, 96-105. Morady Moghaddam, M., Murray, N. (2019). 'English Language Teaching in Iran: A Case of Shifting Sands, Ambiguity, and Incoherent Policy and Practice', International Journal of Society, Culture & Language, 7(1), pp. 96-105. Morady Moghaddam, M., Murray, N. English Language Teaching in Iran: A Case of Shifting Sands, Ambiguity, and Incoherent Policy and Practice. International Journal of Society, Culture & Language, 2019; 7(1): 96-105. English language teaching (ELT) in Iran has experienced a turbulent history reflecting an often dynamic context and changing attitudes toward English, yet framed within a discourse of tolerance rather than one of embrace, as this study is going to show. The discourse was much brighter before the Islamic Revolution and this study reveals that there were much fewer adverse policies toward the spread of English (mostly because of economic reasons). However, after the Islamic Revolution, the discourse can be seen as a product of a postcolonial perspective and an accompanying unease – even antipathy – concerning Westernisation and Western values that are seen as being at odds with Iran’s identity and aspirations as an Islamic state. It is discussed in this study that at its current status, language policy and planning in the Iranian context is blatantly at odds with the ‘educational’ and ‘social’ needs of the nation.